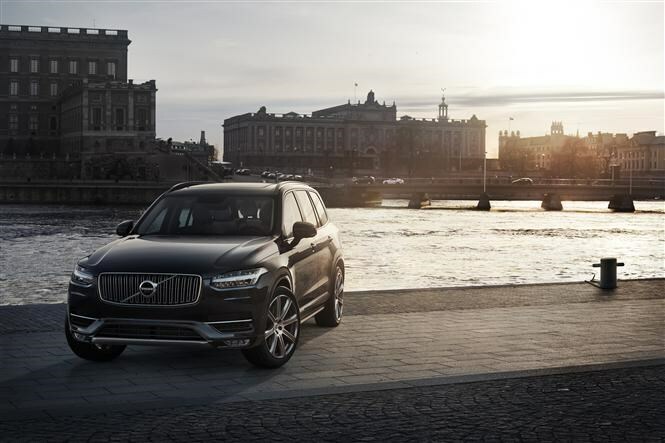 This is the second-generation Volvo XC90, set to go on sale shortly after this year’s Paris Motor Show in October with first deliveries expected in May 2015. 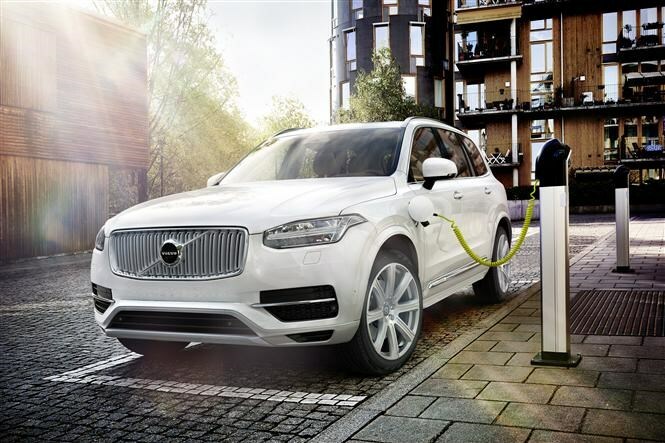 According to Volvo the XC90 represents a new era for the firm and is the start of a complete model overhaul which will see every current Volvo replaced within the next four years. Built on an entirely new platform the next-generation seven-seater is lower, longer and wider than the model it replaces. The new Volvo XC90 showcases a sleeker, more curvaceous body, a distinctive new grille and head-turning T-shaped LED lights aptly named 'Thor’s Hammers'. All available engines will be from the 2.0-litre four-cylinder Drive-E engine range with a choice of all-wheel drive, front-wheel drive or a petrol-hybrid version, all of which will be mated to an eight-speed automatic gearbox. The D5 twin-turbo diesel engine with 223bhp is expected to be the most popular of the range and offers official combined fuel consumption of around 47mpg. The hybrid version pairs a supercharged and turbocharged petrol engine with a 79bhp electric motor offering 394bhp of power in total with CO2 emissions of only 60g/km. There will be three different driving modes to choose from including an EV mode which will enable the car to travel on electric power alone for around 25 miles. The D4 turbo-diesel option offers 187bhp with average fuel consumption of around 56mpg (combined cycle). 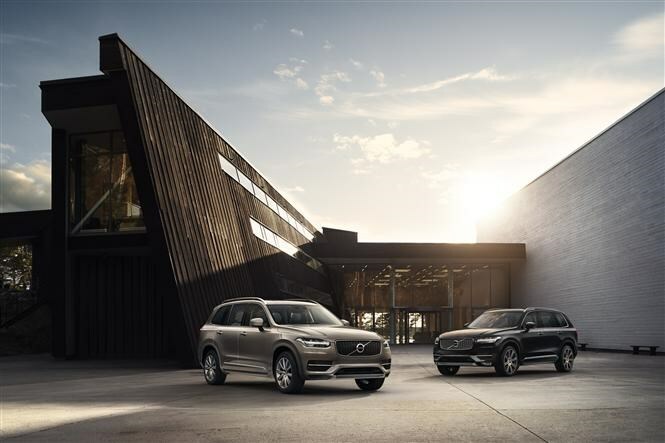 To help make life easier for car buyers Volvo has simplified the trim level structure for the new XC90, reducing the previous five trims down to three. The familiar naming structure for Volvo's UK trims has also been sidelined in place of a more globally used nomenclature; Momentum, R-Design and Inscription. As well as including seven-seats as standard, sat-nav, keyless entry and an automatic tailgate will also be standard across the range. Step inside and the first thing that is likely to draw your attention is the new tablet style multimedia console which enables you to access a range of internet-based products and services as well as further functions like sat-nav, digital climate-control and Bluetooth. The new XC90 also becomes the first Volvo car to offer Apple CarPlay and Android Auto systems so you can enjoy smartphone features throughout the car. 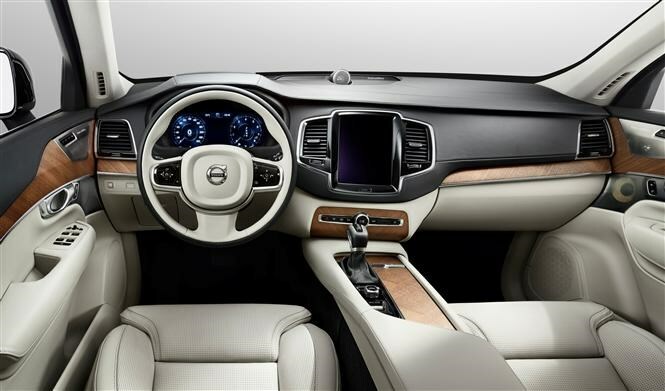 Interior quality in the new model is also impressive with Volvo's latest seat design promising much in the way of comfort with ventilation and massage functionality available. There will be a range of customised options on offer too including an upgraded sound system and a full-size panoramic sunroof. Renowned for producing some of the safest cars money can buy, it will come as little surprise to most that the new XC90 takes a further step towards the Swedish firm's goal that no-one will be killed or seriously injured in a new Volvo car by 2020. Set to be the safest Volvo to date the new XC90 showcases two world firsts; Run-off road protection which applies extra steering torque if the car is about to leave its lane unintentionally and an Auto brake system, which automatically applies the brakes if the driver turns in front of an oncoming car. The new XC90 will get its official unveil at next month’s Paris Motor Show with all-wheel drive versions and petrol-hybrid models set to go on sale shortly after. The front-wheel drive model will go on sale at a later date. Recommended retail price for the D5 AWD Momentum is £45,000. If you cannot wait for the new Volvo XC90 to go on sale in October, there will be a First Edition model on sale from next week which you can only purchase online. There will be 1927 cars available (based on the year that Volvo was established) which will come in top-of-the-range trim with all the latest kit and will be engraved with the limited edition name and a number of your choice. 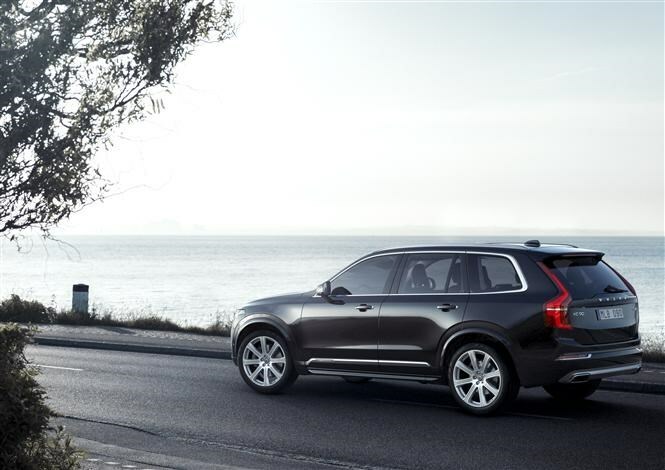 Parkers will be among the first to drive the new Volvo XC90 before it goes on sale - check back soon for our full review.